Desc: Landstrom's Black Hills Gold galloping horses expandable bracelet. 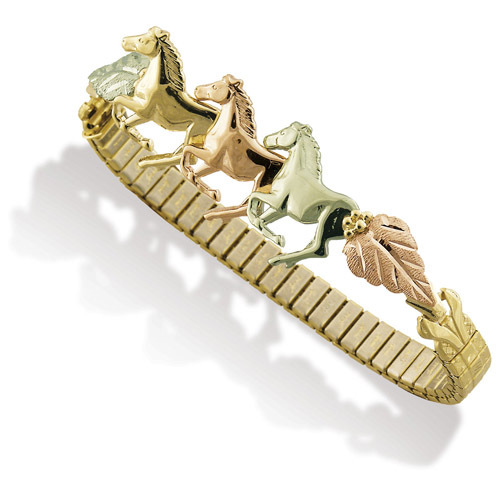 Three horses are galloping across the apex of the bracelet. One horse is yellow gold, one horse is rose gold and one horse is sterling silver. Rose and green gold leaves are mounted at each end of the group of horses. The bracelet is flexible and expandable.